Are your gelling? If not, then you should be. Our gel mats are the perfect floor mats when standing for long periods of time are required. 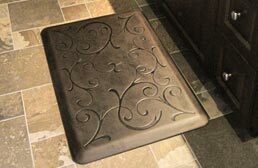 Helping to alleviate the stresses of standing, these mats are durable and comfortable under foot. Our gel floor mats are great for both commercial and residential spaces and are commonly used as kitchen mats, standing mats in department stores, as anti-fatigue mats for trade shows and much more. For years, kitchen mats consisted of a thin, cheap carpet that had some cute saying on it. But the era of cheap mats like that is coming to an end. People today want comfort, and a lot of it. 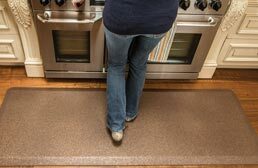 Now when you see kitchen mats, the type of mats you see are foam or gel anti-fatigue mats. 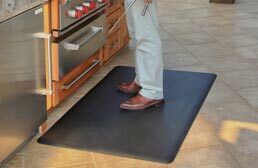 These mats are great in kitchens because they provide comfort underfoot while you are working on tonight’s dinner or washing dishes. Since our world is becoming more and more like Wall-E, being on our feet can be a lot to ask. 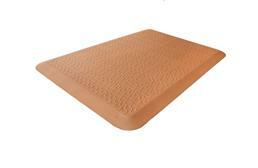 Gel mats are just like the gel orthotics that are super popular from Dr. Scholl’s. Are you gelling? Like Magellan? Well you should be. 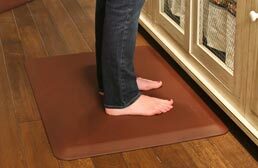 Gel mats help prevent and reduce the discomfort of standing for long periods of time. Gel mats conform to your feet for proper support while relieving any uncomfortable pressure. 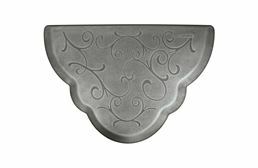 Gel mats are very soothing and restorative and provide relief from hard flooring. 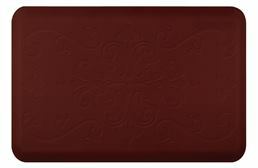 Our gel mats from GelPro are great for residential kitchens, behind retail counters, commercial kitchens and much more. 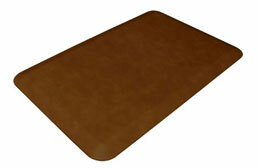 These standing mats feature a rubber casing which makes them slip resistant. Cleaning of these mats is very easy with the use of a broom, mop or hose. 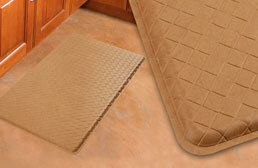 Foam kitchen mats are the standard mats used in commercial and residential applications. 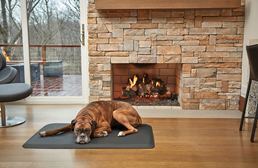 These standing mats are firmer than gel mats and provide a base of springy cushion for outstanding comfort and relief. 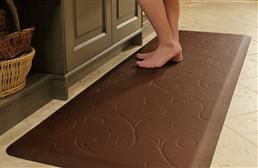 These mats possess energy returning properties that absorb the stresses of standing while stimulating your circulation. 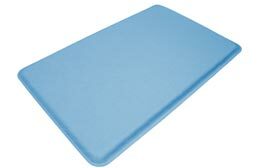 These foam mats are very durable and feature a rubber casing which makes them slip resistant. 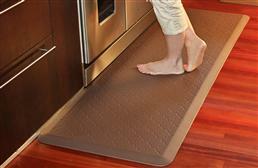 These mats are great in commercial kitchens, doctor’s offices, behind retail counters and much more. Cleaning of these mats is very easy with use of a broom, mop or hose.